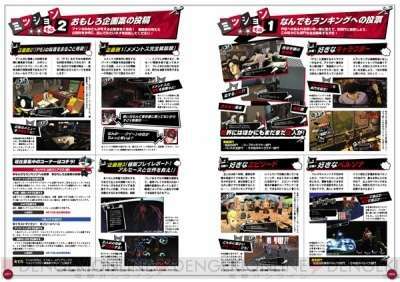 In the “Persona 20th!” issue of Persona Magazine, a book by the name of “Persona 5 Maniax (Provisional)” was announced, to give fans a deeper look into the game. 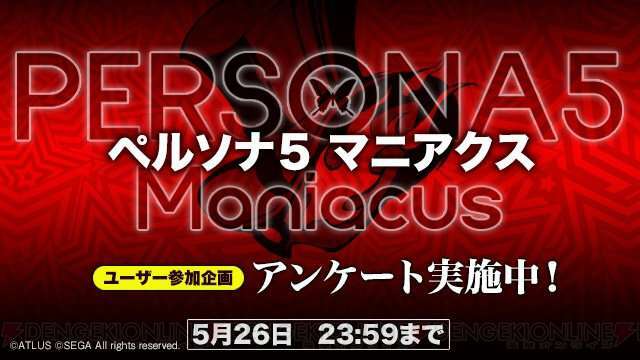 Persona 5 Maniax has now been announced for a Summer 2017 release in Japan. 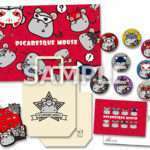 Dengeki Online has released a Japanese survey, with a deadline of May 26 at 11:69 PM JST, where fans can vote on different aspects of Persona 5. The results will be aggregated and announced in the upcoming user handbook. 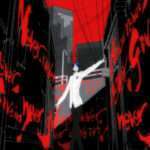 Q1: Who is your favorite character among the Phantom Thieves? Q2: Who is your favorite Co-op character? Q3: Who is your favorite character excluding the above categories? 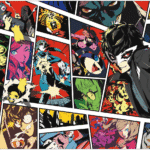 Q4: What is your favorite persona among the Phantom Thieves’ dedicated personas? Q5: What is your favorite persona among other personas? Q6: What is your favorite scene? 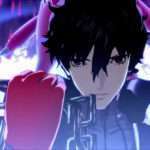 (Example) Scene in which the hero awakens to his persona. 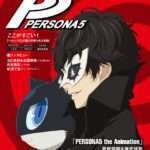 Q7: How many times have you played through “Persona 5”?